Many bumper covers have tabs that are "hinged". They often break at the hinge line. These tabs are fairly common on bumper covers. 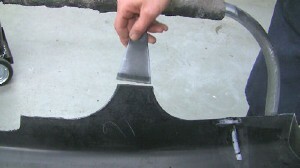 These bumper covers are usually replaced. But, they can easily be repaired with Polyvance products. The first step in any quality repair is to clean the repair area. Use a Polyvance Plastic Cleaner to clean. Spray on a heavy wet coat in a small area, let it sit for a few seconds to dissolve any contamination, then wipe in one direction with a clean paper towel, exposing a clean surface with every wipe. 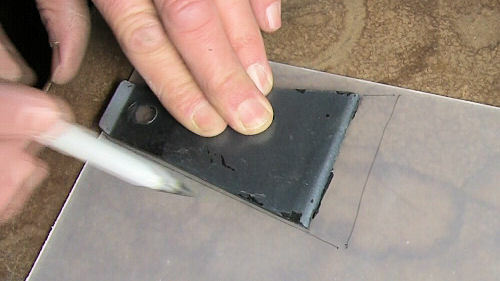 Trace the tab onto the polypropylene sheet that most closely matches the original thickness of the bumper cover. Add about an inch beyond the hinge line. This is the part that will be welded to the bumper cover. Use a jig saw to cut out the new tab. 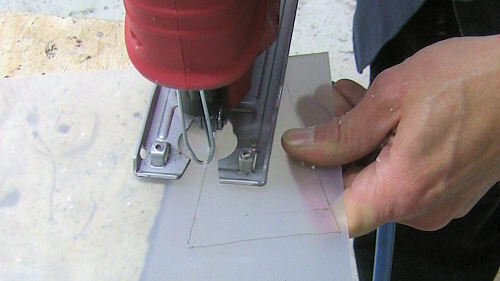 Place the tab in a vice so that the hinge line is level with the top of the vice. 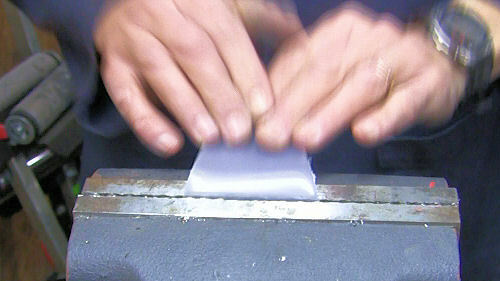 Now, fold the plastic back and forth until it will fold without much effort. Fold the tab and reinsert it into the vice and clamp it down tightly. Fold the plastic the opposite way and clamp it down again. 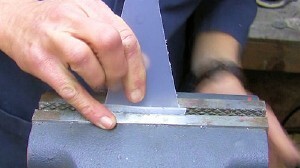 What this is doing is thinning the plastic along the hinge line by stretching the plastic.